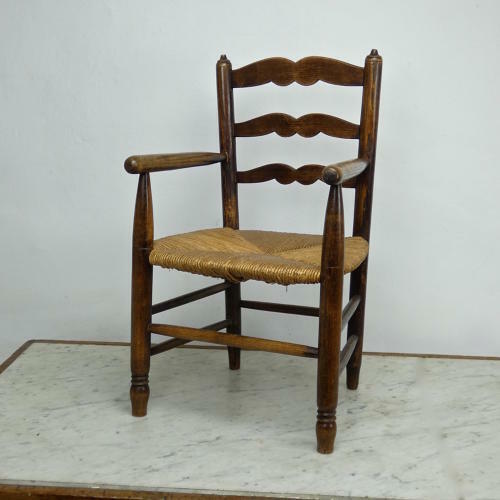 An antique, French childs' chair with a wicker seat. This chair would probably suit a child of between two and four years of age although it could also be used to display antique teddy bears or dolls. It is quite simple in form and probably country made, dating from c.1880. It has shaped splats in the back but the arms and stretchers are plain and there is just a small amount of turning to the front legs. It is in excellent condition and it is very sturdy. Price includes postage within the U.K. Shipping to the U.S.A. add £60. Western Europe add £15.